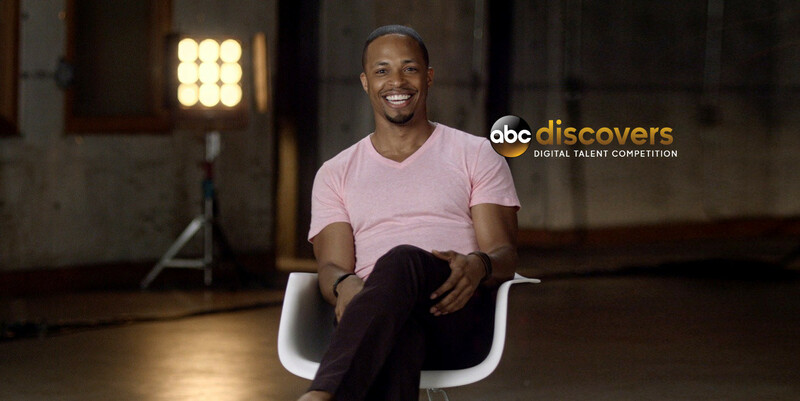 ABC Discovers Digital Talent Competition Is Back! ABC Talent and Casting launched their fourth annual ABC Discovers: Digital Talent Competition which takes place Monday, June 6 – Friday, June 17. The competition aims to discover and champion high-potential actors who may not have had the opportunity to be seen yet by a team of professional casting executives. Actors 18 and older are encouraged to visit ABCDiscovers.com to enter the contest for the chance to receive a one-year $25,000 talent deal with ABC. The top ten finalists and their entries will be posted to the website Friday, July 22 and the 2016 winner will be announced Tuesday, July 26. This year’s ABCDiscovers.com competition site features two videos focusing on actors and the process of working with them. The first video spotlights Wendi McLendon-Covey (The Goldbergs), Randall Park (Fresh off the Boat) and Ken Jeong (Dr. Ken) discussing their journey as an actor, and the second video features Executive Producers Kenya Barris (black-ish), Nahnatchka Khan (Fresh off the Boat) and Barbie Kligman (Secrets and Lies) giving a behind-the-scenes look at the process of working with actors and casting a series. To enter the ABC Discovers: Digital Talent Competition, actors are asked to create a video performing one of the comedy or drama scenes posted on ABCDiscovers.com. Actors will be judged on quality of performance, potential star power and technical skill set. For full details on how to enter and for Official Rules, interested actors can visit ABCDiscovers.com. The Digital Talent Competition is part of ABC Discovers, a series of initiatives that includes the annual New York and Los Angeles Talent Showcases, Actor Audition Workshop Week, Latino/Hispanic Outreach, Asian/Pacific Islander Outreach and Global Talent Outreach. The 2014 Digital Talent Competition winner, Cornelius Smith Jr., is a series regular on the hit drama Scandal, and 2015 winner Samuel Adegoke has had numerous recurring roles on series including Criminal Minds Beyond Borders and Switched at Birth. News "Avengers: Endgame" Cast Takes Over Jimmy Kimmel Live! News When Is the NFL Draft 2019? ABC Draft Coverage Date and Schedule Announced!